We’d love your help. Let us know what’s wrong with this preview of Kingdom 46 by Matthew Dean. When King Herbert Shrub hears of the incident in Furrybottom, he is convinced by his advisors to declare a full-scale war against dragons. Unfortunately, there's just one dragon in the kingdom: a perfectly friendly dragon named Charlie, whose only companion is a little girl named Carlee. When Charlie is captured, Carlee sets out to rescue him from the clutches of the kingdo When King Herbert Shrub hears of the incident in Furrybottom, he is convinced by his advisors to declare a full-scale war against dragons. Unfortunately, there's just one dragon in the kingdom: a perfectly friendly dragon named Charlie, whose only companion is a little girl named Carlee. 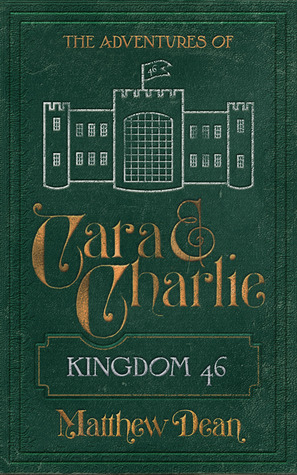 When Charlie is captured, Carlee sets out to rescue him from the clutches of the kingdom and the politics of war. To ask other readers questions about Kingdom 46, please sign up. If you enjoyed the first book in the Cara and Charlie series, you'll love this one even more. The second book in the series is more developed and just as charming. The style is reminiscent of Terry Prachett and full of interesting scenarios that point out the way our culture reacts to those who are a bit different than ourselves. There are many moments that are flat out funny, but also speak volumes about the way we treat others. Matthew Dean has been a performer and storyteller from a young age, starting as an actor at age 8, and over time developing his skills as a writer and comedian. In 2006, he created the character of Dr. Matt, a satirical self-help guru, who gives weekly advice to online followers, and has published two popular Dr. Matt books. The Adventures of Carlee and Charlie is Matthew Dean's first published seri Matthew Dean has been a performer and storyteller from a young age, starting as an actor at age 8, and over time developing his skills as a writer and comedian.